In January, 2010, Fortis was diagnosed with osteosarcoma, and told by his vet that he wasn’t a good candidate for amputation. Nine months later, this big hero has proved everypawdy wrong! Tripawd Fortis made a beautiful recovery. 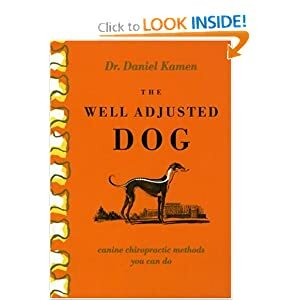 Something that really helped him was regular animal acupuncture and chiropractic care. Fortis’ dad, Brett, said that life on three legs wasn’t without mobility challenges. If your Tripawd is showing any signs of lameness and you want to see if she can benefit from chiropractic care, look for a ACVA-certified veterinary professional in your home town. You can also read about chiropractic care from our friends Calpurnia and Molly. 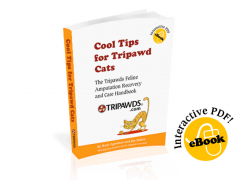 Has your Tripawd benefited from chiropractic care? If so, we’d love to hear more stories about how it did (or didn’t) work. 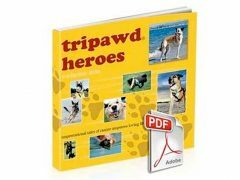 Please share their experiences below, or in our Tripawds Hopping Around Discussion Forum Topic!